Many times, I have clients show up for an initial consultation with the mindset that “I need a trust.” They are absolutely dead-set that they must have a trust of some sort. When I ask why they believe they need a trust, sometimes I get a very well-thought-out response and the client is correct – they DO need a trust. However, more often than not, the client believes he or she needs a trust because somebody else has told them that they need a trust. Upon digging further, it is generally because either that other person has a trust or because someone in that other person’s family passed away and had a trust. Now, trusts are wonderful things – they can be used to do many things that a simple will cannot. And they are great for avoid probate. But I rarely recommend them. Why don’t I recommend them often? Well, first off, I believe in the KISS principle – simple over complex any day in my book. I like to figure out what the simplest method is to accomplish a given goal, and oftentimes that means we can use a simple will along with some other non-probate transfer mechanisms to avoid probate. So, if the state you reside in allows a Beneficiary Deed (aka “Transfer on Death Deed”), then you should take advantage of that – only 31 of the 50 states have adopted Beneficiary Deeds. Thankfully, both Missouri and Kansas (where I practice) allow Beneficiary Deeds. A Beneficiary Deed goes a long, long way toward avoiding probate without a trust. There are other non-probate transfer mechanisms that we routinely use that will allow us to avoid a trust. 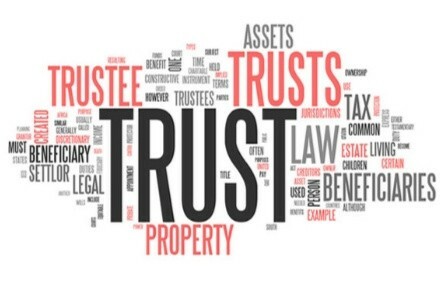 The other thing to consider about trusts is that, like a pet, they require care and feeding – you can’t just form a trust and forget it. You must constantly exercise care to ensure that your property remains titled in the name of the trust – which frankly can be a pain in the you-know-what. Oftentimes, people mess up and don’t keep things titled correctly, so despite having a trust, they end up in probate anyway.